Why not get true eye contact with your customers! 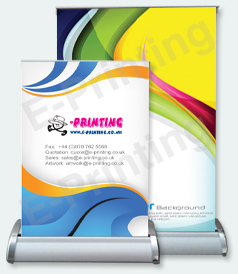 Great advertising desktop banners that sit easily on your occaisional tables, desks, shelves or display cabinets. 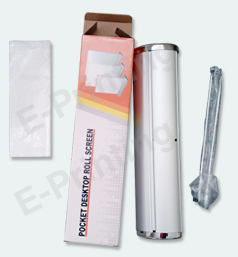 They give a nice informal display, which can add inspiration to your promotions, goods, services the list is endless. They are profesional in looks, design and are of great quality, so order your desk top advertising banner today without delay!